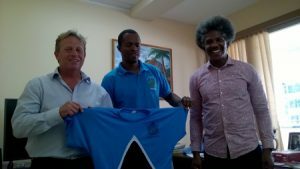 I recently had the pleasure of visiting St Lucia with the aim of developing swimming on the island, working in partnership with the Saint Lucia Amateur Swimming Association (SLASA). As a Saint Lucian national, I have a lot of family in St Lucia and I visit this beautiful little island every year, primarily to spend time with my family. Over the years, however, it has become increasingly apparent that there is a growing need for much greater swimming provision on the island, particularly as there has been a high number of drownings in recent years – it is estimated that around 90% of the St Lucian population cannot swim at all, which I am sure you will agree is rather shocking. In addition, swimming is not yet on the national curriculum and there is only 1 fit for purpose pool on the island. There is also a drastic shortage of qualified swimming teachers to deliver a sound learn to swim programme on the island and St Lucia has the highest rate of diabetes per capita in the world. 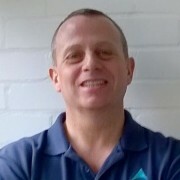 In the past I have tried to assist by delivering some discounted summer holiday training courses, to help provide a greater number of swimming teachers. But something much more long-term and complex is required. Hence the reason why I met with the Saint Lucia Amateur Swimming Association (SLASA) to help redress the situation. Following a successful meeting with SLASA, during which we put together a swimming development proposal, I then had the honour of presenting our joint proposal to the Ministry of Youth Sports, where I met with the Minister, Dr Anthony George, and his department. Our proposal was received very warmly indeed by the Ministry and it all now comes down to some much-needed funding from the Saint Lucian government, which I am hopeful of. The STA have also kindly reduced their fees to assist in the cause and I am offering the first few courses at cost only. this will give the island the teachers it needs to deliver a comprehensive and affordable learn to swim programme, as well as provide career opportunities for members of the community and importantly reduce the number of drownings and better the health of the nation.